Looks like this is the season for big announcements at Amped Software! After Spready joined us last year as our International Trainer, another pillar of the forensic video community is joining our team. We are excited to announce that Jim Hoerricks is joining our US office as Director of Customer Support and Training, after retiring from the LAPD Scientific Investigations Department. Everybody in the industry knows Jim for his seminal book “Forensic Photoshop” and the popular Forensic Photoshop Blog. Jim is well known also for his direct, unfiltered and passionate style. I still remember when he requested a trial license of Amped FIVE from me a few years ago. I was very afraid of his review as he always expected a very high standard in his product reviews. 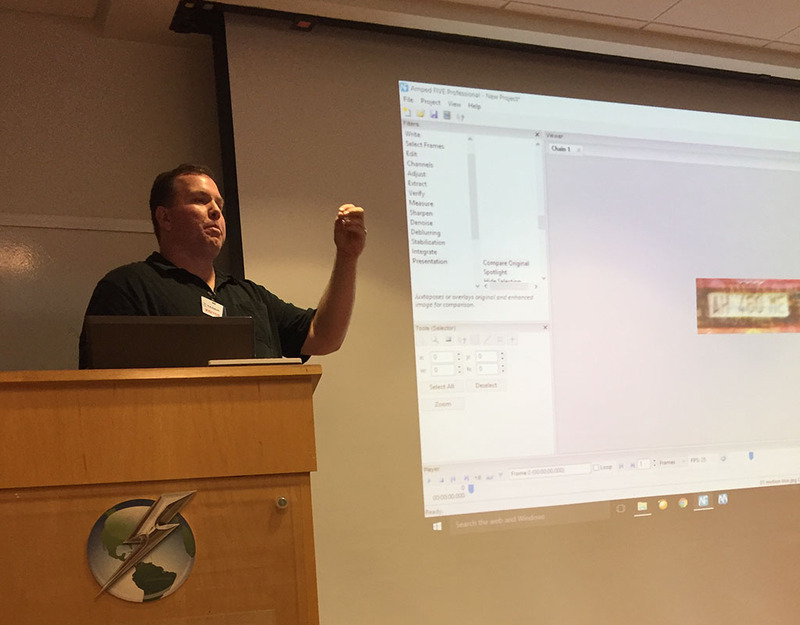 But his first review of Amped FIVE was very good and he became so passionate about the product that he finally left Photoshop in favor of our tool, and later he became one of our trainers working on a case by case basis. In the last year, our tools have been adopted en masse in North America. We needed a person who is a reference for the forensic community, but also one that we can fully trust for an industry as sensitive as law enforcement and investigations is. Jim is a great expert, but even more he is a friend. This entry was posted in Announcements on February 17, 2016 by Martino Jerian.